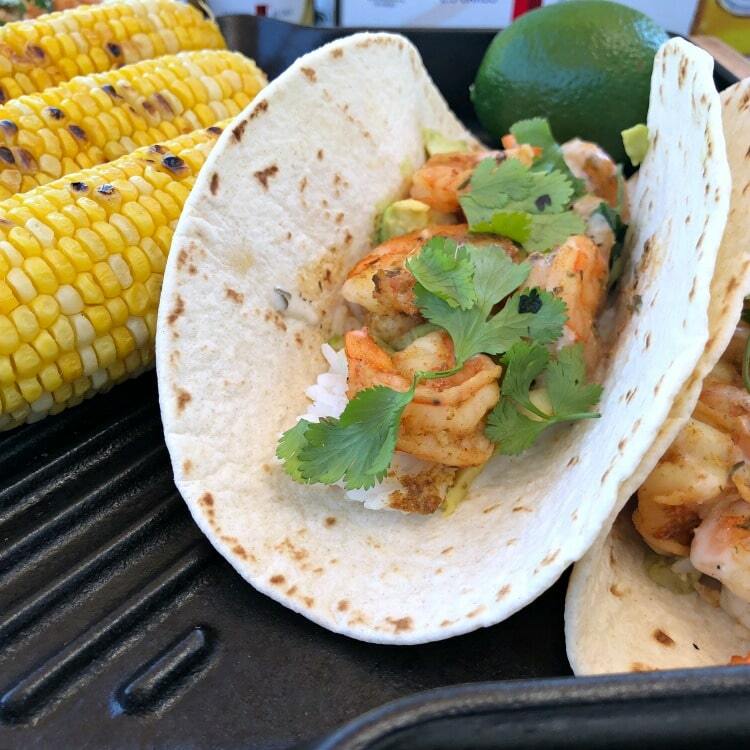 These healthy Grilled Chipotle Beer and Shrimp Tacos with avocado and rice are full of smokey spicy flavor and perfect for a light lunch when working outdoors in the summer. I am doing my happy dance. Seriously I am. It is finally warm here in SW Ohio. I can get outdoors and work in my yard and garden. April was so cold that I had no interest being outside. This spring was horrible. But finally, finally, it has warmed up. For years I have grown a garden but since we moved into our new home, five years ago, I just didn’t have a good spot to place it. I also had more pressing outdoor jobs that needed to be completed. I have a corner of my yard that I never cleaned out the brush and weeds. It is where I kept my woodpile and I just let it go. So, I decided to clean out the honeysuckle and turn this into the spot for my garden boxes I built this winter. I love these boxes and will post the tutorial soon. I don’t need a big garden, basically it is a salsa garden with lots of herbs, tomatoes, and peppers. I can’t wait to incorporate these vegetables into my recipes. When it’s hot, Michelob ULTRA Pure Gold is the perfect beer for working in the yard. 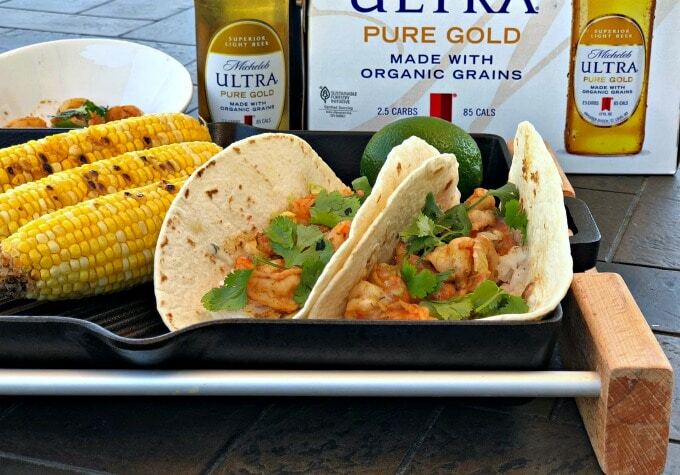 Made with organic grains Michelob ULTRA Pure Gold is a light lager with a superior, golden taste. I love this beer and with only 85 calories it doesn’t hurt my weight loss goals. I came up with this Grilled Chipotle Beer and Shrimp Tacos with avocado and rice for a healthy lunch while working on my landscaping and garden. 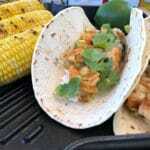 The tacos are bursting with flavor and so easy to make on the grill using a foil pack. If you want to make the Shrimp Tacos healthier, skip the tortilla and make it a rice bowl. The avocado is the perfect compliment to the smokey spicy chipotle shrimp. 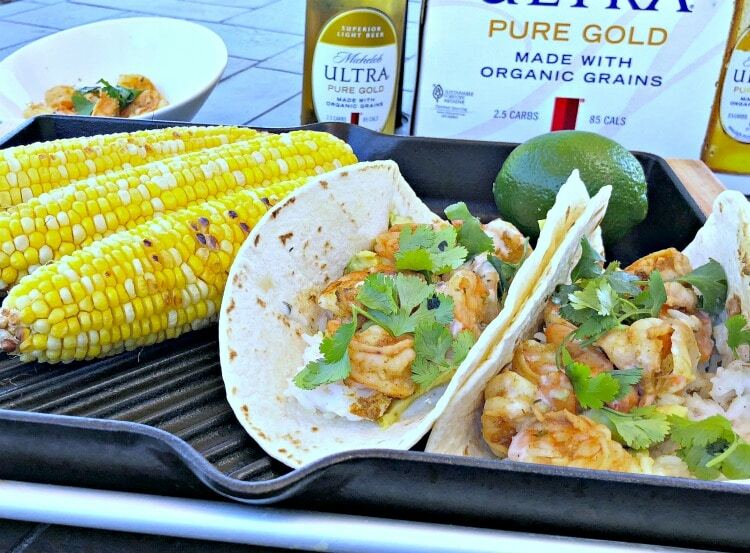 Michelob ULTRA Pure Gold works perfectly in the dish with its smooth flavor. Get outdoors and enjoy the warm weather. In a bowl mix together garlic, hot sauce, melted butter, spices, and beer. Lay out a piece of heavy-duty foil 12 inches by 18 inches. Fold the four sides up to create walls and spread the shrimp in the center of the foil. Cover with another large piece of foil and crimp and fold the edges together to seal tightly. Transfer the foil pack to the grill, close the lid and cook until the shrimp are pink and cooked through 5 to 7 minutes. Remove from the heat and let sit for a few minutes. Carefully tear the foil packet open, being careful not to let the escaping steam burn you. Add rice to tortillas and top with avocado slices and shrimp. 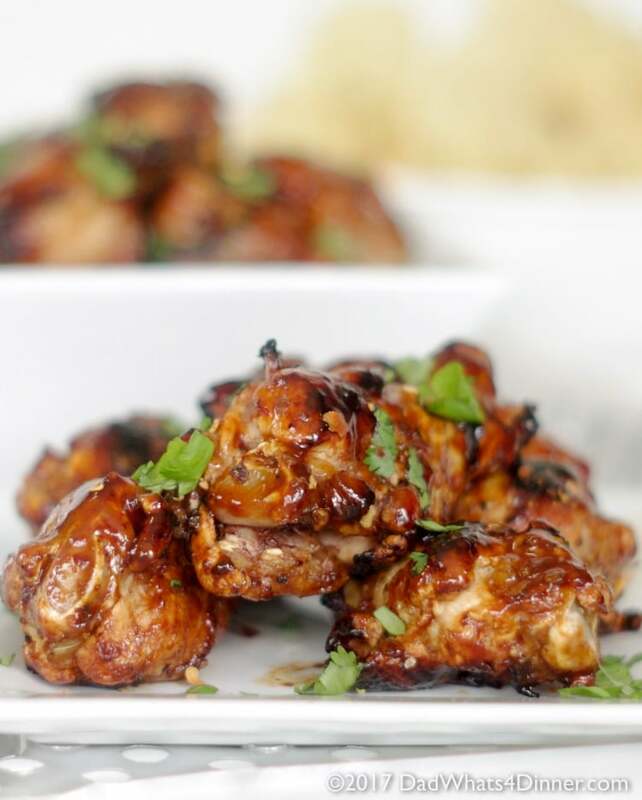 Drizzle with ranch dressing, a squeeze lime and sprinkle with cilantro. Enjoy! 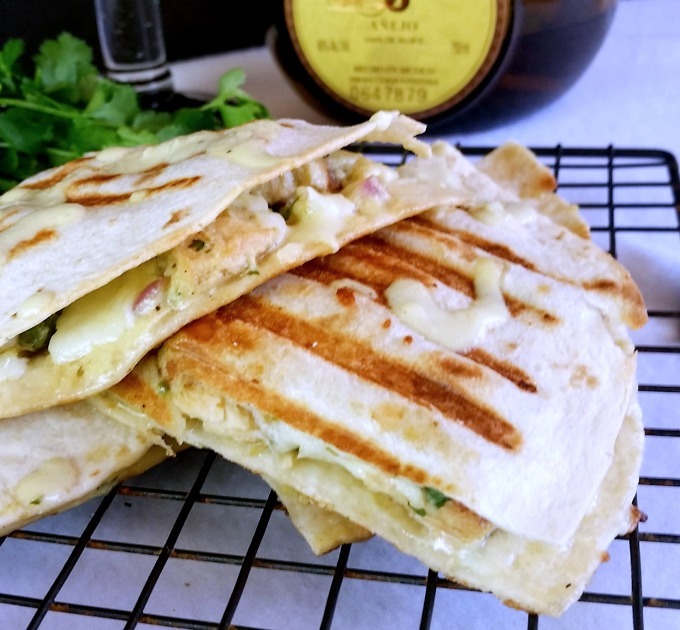 Recipe inspired by Food Network! So what plans do you have to get outdoors this summer? Whatever it is, be sure to enjoy it with a refreshing Michelob ULTRA Pure Gold!